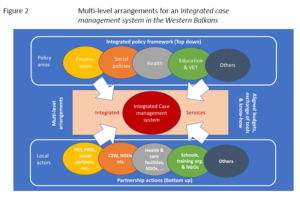 This comparative report on integrated case management for employment and social welfare users analyses the legal, policy and institutional framework for collaborative approaches and the practices applied by national and local actors as a basis on which to build up an integrated case management system in the Western Balkans. Integrated case management is understood as innovative practice employed by the Public Employment Service and Centres for Social Welfare in the countries and territories collectively to serve the most vulnerable with all available resources from both the labour market and the social assistance system. Champions are identified and recommendations provided that should help partnerships to flourish at the interface of labour market and social policy. 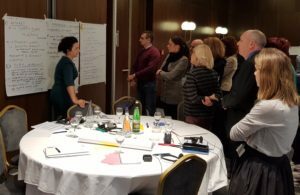 The report shows that there is a lack of well-established partnerships practising integrated case management in the Western Balkans and that Territorial Employment Pacts are a model well-suited to providing an overall frame for an integrated case management system in the Western Balkans.